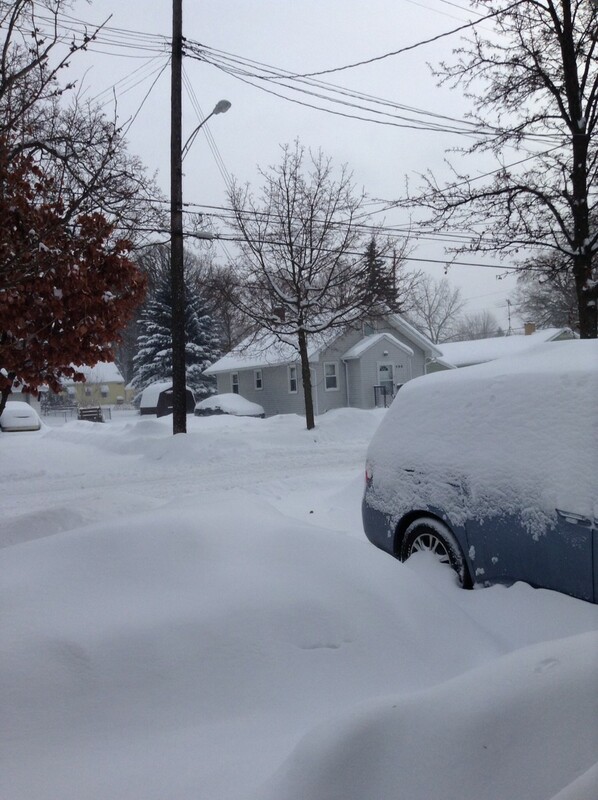 According to NOAA we got 15" of snow yesterday and are in for another 1-3" of lake effect today. We are at the high temperature for the day, it is 8F (wc -22F). The bottom seems to be dropping out of the temps and by this evening it will be negative degrees F with wind chills in the OMG range. It won't match some of the temps experienced when I lived in Duluth however. -25F as a high with wc of -80F. I had two doctor appointments today. I decided to be a no show at the early one which was a good call as no one made it to the office to even deal with my cancellation. The other office called me to reschedule.